Expensive lawn care is a thing of the past! TigerTurf Diamond Supreme Spring will provide you or your client that lush realistic appearance all year long without the natural grass financial commitment! Diamond Supreme Spring features an exceptionally plush approximately 85 ounce face weight and also showcases all of the same amazing features of the popular Diamond turf line! The approximately 2.50 inch grass blades are a lovely field and lime green color tone and have the durable open ‘W’ grass blade shape for a memory foam action. 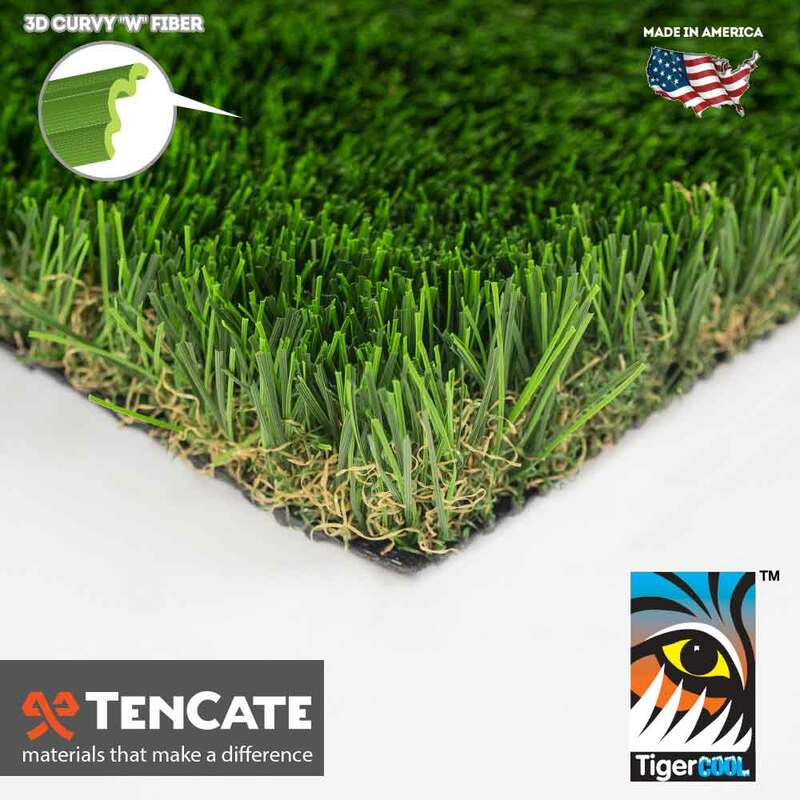 This durable synthetic turf also features an extremely strong backing where each grass blade is triple reinforced through tuft bind technology. The backing is also perforated so liquids can easily pass through leaving minimal residue. Each blade contains U.V. technology that will prevent your turf from fading even during the most sunny seasons! Guaranteed to last for years to come, Diamond Supreme Spring is the ideal landscape for saving water, time and money!